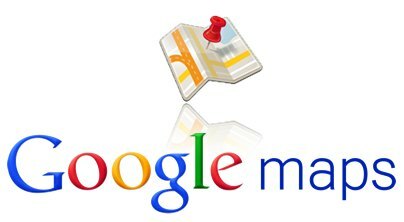 According toThe Wall Street Journal, Google is intending to launch their Google Maps app on iOS, after Apple dropped them from the iOS6 update and added their own mapping solution. Google have been distributing test versions to some close individuals that may or may not work for Google. We have been waiting a while for Google to launch their maps app for iOS, we thought, with the poor result of Apple Maps, that Google would be quick to get the app out there. Analysts say Google have played this off as a way to attract more consumers to Android, and also to show that Google is a more efficient company when it comes to software products then Apple. As you probably already know, Apple Maps came under intense scrutiny after users found the maps to have serious bugs, incorrect data and rather weird 3D images. The scrutiny got so bad that Apple’s CEO, Tim Cook, had to write a formal apology and offer other mapping solutions, until Apple was in a place that their maps would be viable. Nokia Herehas just been launched on the web and Nokia have said that this new mapping solution will come to iOS and Android, so now Google have some genuine competition when it comes to mapping on the iOS platform. There have been rumours that Nokia and Apple are working on deals with their maps, but it hasn’t been followed up by any evidence so we cannot see it being true. The Google Maps app that is coming to iOS will apparently run very similarly to the way Android does, although we doubt you will have the integration you have on Android. Google are yet to even submit or finish the app though, so it may take some time to work the finer details and then run the app through Apple’s strict approval check-up.